Blog to End the Occupation: Our Discourse Goes Mainstream! New York Times Assails Israeli Pinkwashing! Our Discourse Goes Mainstream! 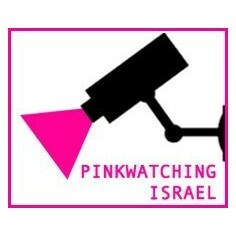 New York Times Assails Israeli Pinkwashing! Earlier this month we told you how Israel was “pinkwashing” its apartheid regime by branding itself as a progressive gay haven. Today, the New York Times has published a terrific op-ed by Sarah Schulman entitled “Israel and Pinkwashing.” In the article, Schulman strongly repudiates Israel’s use of gay rights as a public relations tool to deflect attention away from the brutality of its occupation. There can be no doubt that our efforts at the grassroots level to organize and educate are having an impact. Today, in the paper of record, an activist term, goes mainstream!